What’s your ideal holiday like? If a view of the lake while sipping chai in the balcony sounds ideal, the West Valley Villa in Panchgani is what you should book. The cute villa is perfect for a group of friends or family, and is very close to the main market too. A mere 10-minute drive away from the main market, the West Valley Villa is pristine and quiet. The all-white villa is like a home out of a children’s book, complete with a side porch. The 3BHK duplex villa is offers spectacular views of the valley and the backwaters. Its location is quite prime and you’ll get the best of nature and the hubbub of the hill station. It’s 3.4kms from Parsi point and 7kms from Sydney point and the villa has a view of the mountains that you can enjoy either from the balcony of your room or the terrace. You could honestly spend your entire weekend inside if you’re not one to explore or have been to the hill station often. There’s round-the-clock assistance and reviews by previous guests recommend the food cooked by the caretaker and his wife. How could you not be up for delicious local home cooking? There’s also space to have a barbeque, the garden at the back is a nice space to play a few outdoor games if you’re holidaying with kids. And, the villa is stocked with board games, books and DVDs that you can watch on the flat screen in the living room. Two bedrooms are equipped with a double bed and the third one has a double bed and a single bed too. There are also two sofa beds in the living room, so if you are planning to take your crew here, you won’t be cramped for space. The kitchen is also fully stocked with utensils and crockery, so if cooking is therapeutic to you then you have the kitchen of your dreams here. 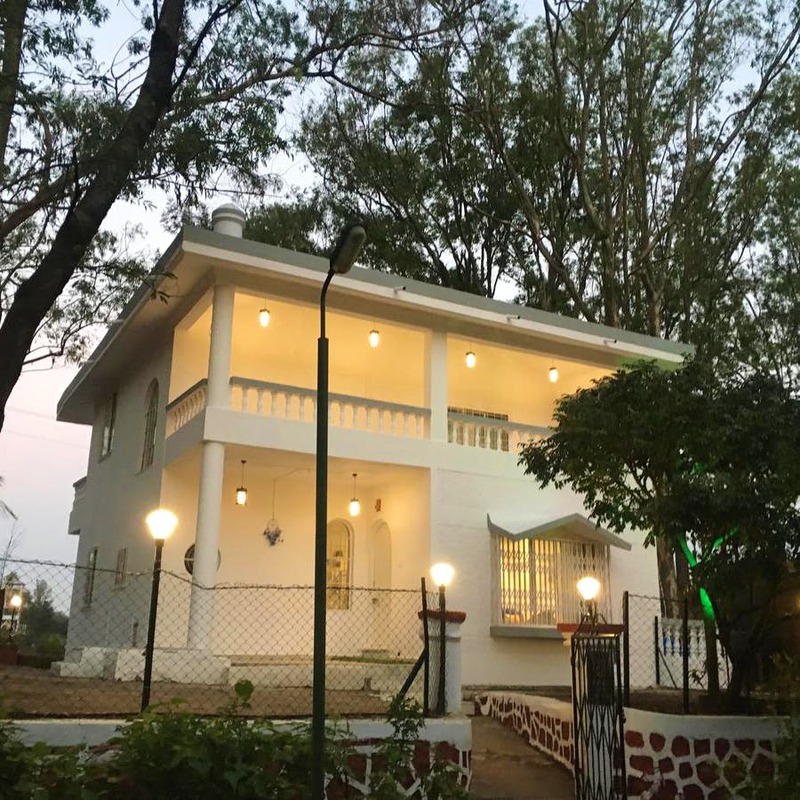 The villa is also in the vicinity of several landmarks like the Mapro Garden restaurant, Venna Lake, Dhome river, Lingmala Falls and other spots where you’ll find fun things to do. A lot of reviewers loved the villa because it’s clean and well-maintained.